The 575-carat natural saltwater pearl with an ancient historical provenance dating back a thousand years to the 11th century A.D. and once owned by Chinese, Persian and Mongolian emperors, was eventually given as a gift to Marco Polo, the famous Venetian traveler and adventurer, by the Mongol Emperor Kublai Khan, the grandson of the mighty conqueror Genghis Khan. Marco Polo returned to Venice in 1295, with the pearl and other precious stones lavished upon him by the great Kublai Khan. After the death of Marco Polo in 1324, the course taken by the celebrated pearl is unclear, but the pearl undoubtedly remained in Europe, perhaps passing through the hands of some of the ruling monarchies of Europe, but eventually came into the possession of an aristocratic family of Austria and Bavaria, the Arco-Valleys, with whom it remained during the course of the 20th century, and from whom the pearl gets its name. The Arco-Valley is classified as a nacreous blister pearl. It is the 3rd largest nacreous pearl in the world, after the Danat Sheikha Fathima bint Mubarak Pearl, the 1st largest nacreous pearl and the Pearl of Asia, the 2nd largest nacreous pearl in the world. Please do not copy our tables without our permission. We may be compelled to inform the search engines if our content and tables are plagiarised. 1) The first seven largest natural pearls in the world are all baroque pearls. 2) The largest perfectly round spherical pearl in the world is the "Bao Dai/Sunrise Pearl," an intense orange, non-nacreous, melo melo pearl. 3) The largest Abalone pearl in the world is the "Big Pink Pearl." 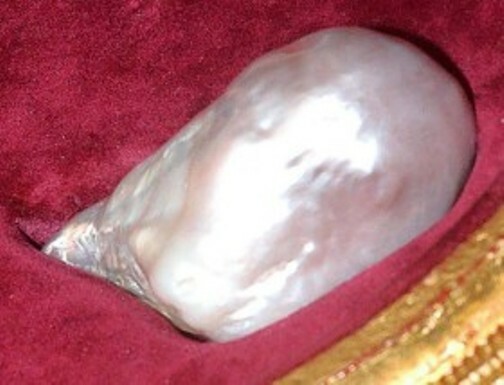 4) The largest pear-shaped drop pearl in the world is the "Gogibus Pearl." 5) The largest perfectly round, spherical, nacreous, cultured pearl in the world, is the Paspaley Pearl, a South Sea pearl cultured in the oyster Pinctada maxima. 6) The largest spherical/near-spherical, nacreous, natural pearl in the world is a 241.44-grain, freshwater pearl that appeared at Christie's sale 7664 at Dubai on April 29, 2008. This pearl is also the second largest freshwater pearl in the world, the 17th largest pearl and 14th largest nacreous pearl in the world. 7) The largest spherical saltwater nacreous pearls in the world are the 113.75-grain, and 113.25-grain Bapst pearls, that attracted universal attention in 1878, as the most extraordinary pair of pearls ever seen in Europe, when exhibited at the Great Paris Exposition. 8) Various forms of drop-shape, such as irregular-drop, pear-shaped drop, symmetrical drop, asymmetrical drop, are the commonest shape found among pearls. 9) Perfectly spherical shape is quite rare among pearls. 10)The largest conch pearls in the world are the Susan Hendrickson's Conch pearls. 11) The largest quahog pearl in the world is the Golash Quahog Pearl or the Pearl of Venus. 12) The largest grey/black symmetrical drop-shaped pearl in the world, produced by the black-lipped oyster (Pinctada margaritifera) is the 227.24-grain grey pearl that appeared at a Christie's auction in Dubai on April 29, 2008. 13) The world's most expensive pearl, the La Peregrina, from the estate of Elizabeth Taylor, that sold for US$ 11 million at a Christie's auction in New York, in December 2011, is the 21st-largest pearl in the world, and 17th largest natural nacreous pearl in the world. The Arco-Valley Pearl with a length of 7.9 cm (3.1 ins) is quite a large pearl, and it is believed the pearl most probably originated in the species of saltwater oyster, Pinctada maxima, the Silver-lipped pearl oyster, commonly found in the South China Sea, that can grow to an enormous size, and reach a maximum diameter of 30 cm (12 inches). The blister pearl that develops between the mantle and the shell, can grow to enormous sizes, given the large size of the oyster, that can accommodate such large pearls. The pearl has a white color with a touch of blue, and has pink and cream overtones on its sides. It is a nacreous pearl with its characteristic iridescence caused by the scattering of different colors of light. Examination of the pearl by experts have revealed that it has been drilled three times. The positioning of the drill holes show that perhaps it might have been used as a jewel in a woman's tiara, to fit a crown or turban of a Persian king or to go with a ceremonial mandarin suit of a Chinese emperor. The drill holes have now been filled up and the pearl restored to its original shape. Being a pearl of Chinese origin, the pearl probably would have grown in the still waters of a lagoon or coral reef in the Pacific, on the Chinese coast. Pearls are the only gemstones that had been known and appreciated by mankind longer than any other gemstone in the world, and the only gemstone produced biologically by living organisms. They have been prized for their beauty and rarity for more than 4,000 years. Archeological evidences abound on the usage of pearls during the most ancient civilizations of the world, such as those of Mesopotamia, Egypt, ancient China and India, ancient American civilizations, the Greek and the Roman empires, the Persian, Arab and Turkish empires of the Middle East, The Mogul empire of India, and all other cultures and civilizations throughout recorded history. Thus some of the famous pearls known to us have a very ancient provenance. The oldest known pearl in the world is the "Jomon Pearl" which dates back to more than 5,500 years, and named after a period in Japanese history known as the Jomon Era which lasted from about 10,000 B.C. to 300 B.C. If the legend of Lao Tzu is correct, which according to scientific evidence is untenable, the "Pearl of Lao Tzu" aka the "Pearl of Allah" is about 2,500 years old. Some of the pearls of the 16th and 17th centuries are, the Gogibus Pearl, Pearl of Asia, the La Peregrina and La Pellegrina. Thus the "Arco Valley Pearl" dating back to the 11th century A.D. is also one of the most historic pearls known to mankind. Even though pearls are the most ancient gemstone known and used by mankind, in a geological time scale they are the most youngest. Diamonds, sapphires and rubies are over 1-2 billion years old, emeralds between 50-100 million years old, but the most ancient pearls may be only a few thousand years old. This is because of the biological origin of pearls taking just a few years for the pearl to be fully formed. Most of the cultured pearls today attain their maximum size from 8-10 months for fresh water pearls to 2-3 years for Akoya pearls. Only a few species of bivalve mollusks such as giant clams which have the potential for forming pearls and have a fairly extended life span of over a hundred years, may form a pearl that grow to their full potential after several decades. Only pearls that were harvested and preserved by human intervention have survived over the years and are found in the collections of private individuals and museums. In the natural condition pearls that are not harvested might remain at the bottom of the ocean, the calcareous shells and the pearls being eventually incorporated into the substratum of coral reefs and sedimentary rocks. The extreme rarity and value of natural pearls. Cartier acquired its New York Headquarters in 1917, in exchange for a double-stranded natural pearl necklace. Out of about 8,000 different species of bivalve mollusks that occur in nature, only about 20 species are capable of producing pearls on a consistent basis. Out of these select number of species, in the natural state only a very small percentage of individual mollusks from each species would ever produce a pearl at all. In some species of pearl oysters it has been estimated that only about 1 in 40 oysters develop pearls, which is equivalent to 2.5%. Of these only a few pearls will attain the desirable size, shape and color, and out of this only a small fraction will be harvested by humans. This explains the extreme rarity of natural gem-quality pearls of desirable characteristics. It has been estimated that under natural conditions only one in ten thousand oysters will produce a gem-quality pearl. In other words the probability of any single pearl harvested, harboring a gem-quality pearl is 0.0001 !!! Thus the high value of natural pearls is a function of both its beauty and rarity. Natural pearls had been considered as gemstone of great value since ancient times. It would be interesting to note that Pierre Cartier, the grandson of the founder of the company Cartier's, Louis-Francois Cartier, purchased the 653, Fifth Avenue, Neo-Renaissance Mansion of Morton Freeman Plant (son of railroad tycoon Henry B. Plant), where he set up Cartier's New York headquarters in 1917, in exchange for $100 in cash and a double-stranded natural pearl necklace valued at the time at $1 million !!! The pearl is the only gemstone that grows inside a living organism, a bivalve mollusk such as oysters, mussels and clams. Pearls are formed within the bivalve mollusk when an irritant such as a parasite, a food particle, or waste material lodges itself in the mantle tissue or gonads of the mollusk, triggering a reaction known as encystation, in which the epithelial cells secrete an organic-inorganic material known as nacre, which is deposited in layers around the irritant forming the pearl. Thus a pearl is actually a defensive response by the mollusk to an irritant, and is built around an irritant. As the deposition of nacre takes place it tends to maintain the original shape of the irritant. If the irritant was originally irregular in shape, the final shape of the pearl would also be irregular, and is known as a baroque pearl. Generally most pearls tend to be irregular as the irritants invariably were also irregular. However, some pearls tend to have a spherical, oval or drop-shape, as the original irritant might have had a somewhat similar shape. Shifting of a pearl during its growth can also result in an irregular shaped pearl. The tissue surrounding the growing pearl also exerts a great influence on the shape of the pearl. If the irritant was lodged in soft tissues, the growing pearl expands equally on all sides resulting in a spherical pearl. If on the other hand one or more sides of the growing pearl had tough tissues or the shell itself, as in blister pearls, growth on that side will be severely restricted resulting in a baroque-shaped pearl. In the Arco-Valley pearl the flat side of the pearl, is the side where the growth was restricted, and hence the side that was directly in contact with the shell. Genghis Khan the original owner of the Arco Valley Pearl ? The recorded history of the Arco Valley Pearl begin with Kublai Khan (1215-1294), the great Mongol emperor and conqueror, the grandson of the mighty Genghis Khan the great nomadic Mongol warrior. But, it is believed that Kublai Khan inherited the enormous pearl from his grandfather Genghis Khan, who was said to be its original owner. Genghis Khan (1162-1227) subjugated a vast extent of lands extending from the Pacific coast of China to the Adriatic Sea, causing not only the downfall of empires such as the Khwarezm empire, the Abbasid Caliphate and the Chin empire of northern China, but also causing massacres of large populations and destruction of the hallmarks of civilized human settlements, such as centers of learning and agricultural and irrigation schemes. Massacre of innocent populations was used by him as a weapon to instill fear and compliance on the people he subjugated. His forces also plundered the wealth of the lands they captured, and perhaps would have included collections of crown jewels belonging to the monarchies he subjugated. The Arco Valley Pearl that came into his possession, perhaps would have come from the crown treasury in one of the cities of the Khwarezm empire which he captured and devastated such as Bukhara, Samarkand, Herat, Tus or Neyshapur. Another possible way of how the Arco Valley Pearl might have come into the possession of Genghis Khan was that the pearl might have been actually harvested by one of the Chinese subjects either during his period of rule, or the rule of one of his Chinese predecessors, off the coast of China, in the Pacific ocean, and subsequently surrendered to him or his predecessor. It was also possible that the Arco Valley Pearl, actually fell into the hands of Hulegu Khan (1217 to 1265), the grandson of Genghis Khan and brother of Kublai Khan, when he besieged and captured Baghdad the capital city of the Abbasid Caliphate in 1258. Kublai Khan a grandson of Genghis Khan through his fourth son Tolui was one of the most enlightened of the Mongol emperors, who were generally barbaric, ruthless and illiterate nomadic tribal rulers who subjugated people with the power of the sword. Unlike his predecessors who massacred the conquered and destroyed civilizations, Kublai Khan always granted clemency towards the conquered and made them partners in the rebuilding of their lives. Kublai Khan's greatest achievement was the re-establishment of the unity of China, which had been divided since the end of the T'ang dynasty. He set up his capital at Beijing, which during his time was known as the city of Ta-tu, the great capital. Kublai recognized the superiority of Chinese thought and philosophy and gathered round him a group of trustworthy Confucian advisers, with whose help he was able to build on the foundations of the brilliant civilization developed by the preceding Sung dynasty. He appointed Chinese civil servants for the administration of his vast empire, but preferred the appointment of foreigners to Chinese, to key positions, such as governors of provinces. Marco Polo was one such foreigner who was appointed as a governor. Marco Polo's father Niccolo and uncle Maffeo wound up their business in the Venetian quarter of Constantinople and re-located to the Crimea, from where they moved eastwards to Bukhara, and then further eastwards to Mongolia , and ended their journey in 1265 in Kublai Khan's summer residence at Shangdu (Xanadu). The Polos were warmly received by Kublai Khan who hosted them in his palace. Eventually the Polos returned to the west as ambassadors of Kublai Khan, carrying letters to the Pope requesting him to send one hundred intelligent men, acquainted with the seven arts, to impart knowledge to his people. They also carried gifts from the emperor and were asked by Kublai Khan to bring back oil from the lamp burning at the Holy Sepulchure in Jerusalem. In 1271, the Polos returned to the Mongol court, but was accompanied by the young Marco Polo who was just 17 years old. The route taken on their return journey was Acre (Israel), Ayas (SE Turkey), Erzurum (eastern Turkey), Tabriz (northern Iran), Hormuz (Persian Gulf), Khorasan (eastern Iran), Badakshan (Afghanistan), Pamirs (central Asian highlands), Kashi (Uygur Autonomous Region in Xinjiang, China), Yarkant, Hotan, Che'erchen, Shazhou, Gansu, Ningxia, and Shangdu. The Polos handed over the Papal letters and the sacred oil to Kublai Khan at his court in 1275. The young Marco Polo was around 20 years when he reached Cathay (North China). He could then speak some of the languages used in East Asia, such as Turkish in the Coman dialect spoken by the Mongols, Arabized Persian, Ulghur and Mongol. Kublai Khan was very impressed by Young Marco Polo's accounts of his travels in strange countries, and always sent him on fact finding missions to distant parts of his empire, such as Yunnan in southwestern China, Hangzhou in southeasten China, and Tagaung in Myanmar, Burma. 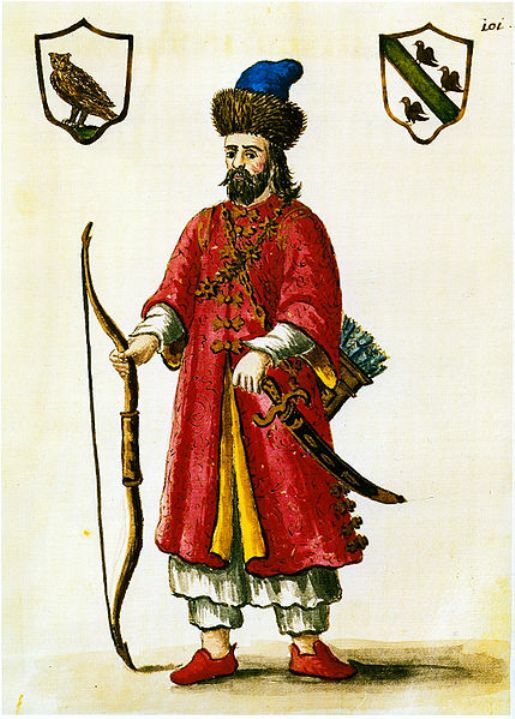 Marco Polo, built up a close relationship with Kublai Khan, and earned his confidence and respect and was appointed as the governor of one of the wealthiest trading cities of China, Hangzhou, in which post he served with great skill and distinction, creating a rapport between the emperor and his subjects. 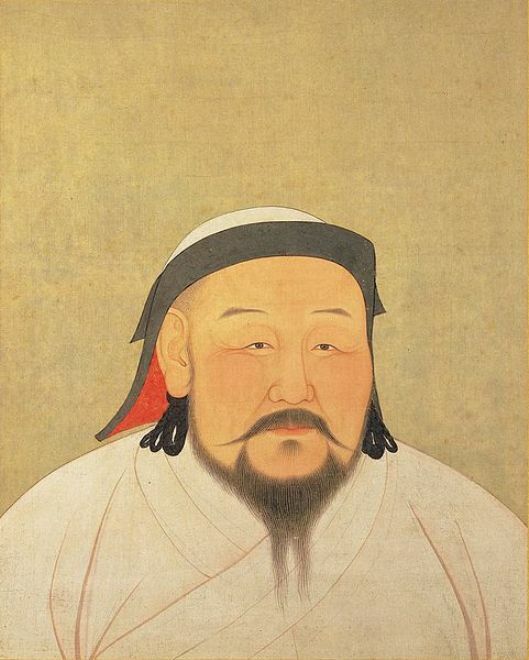 Kublai Khan appointed Marco Polo as a trusted emissary, and used his diplomatic skills on various hazardous assignments both within China and Mongolia, and other regions of his vast empire. Marco Polo's services became so indispensable to the mighty Khan, that he refused to release him in spite of repeated requests, in order that he could return to his native Venice. 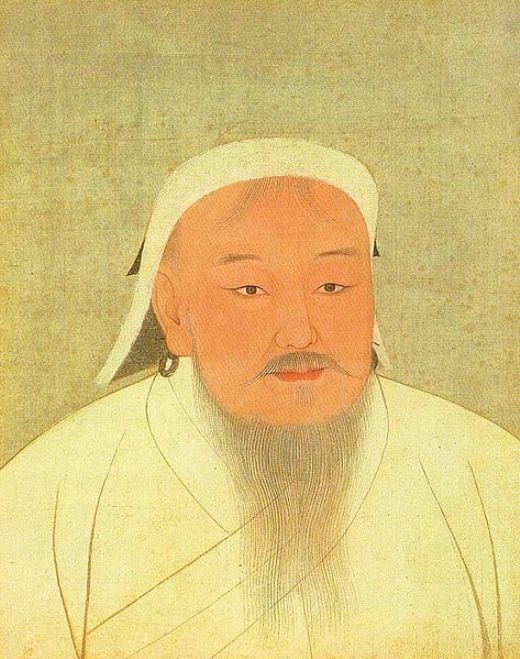 But eventually in 1292, two years before his death, Kublai Khan, granted him permission to leave, and as his last assignment for his emperor, Marco Polo agreed to accompany a Mongol princess who was to be sent to Persia to become the consort of Arghun Khan. Kublai Khan compensated Marco Polo, his father and uncle for loyal services to his empire, by showering them with valuables in the form of gold, silver and precious stones, which included the enormous 575-carat pearl that came to be known a the Arco Valley Pearl. 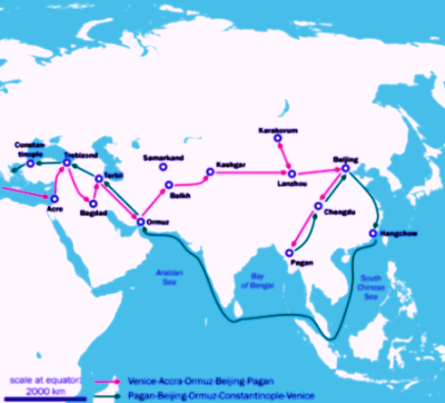 Marco Polo left China in a fleet of 14 ships, with the Princess and some 600 courtiers and sailors. The vessels touched at Vietnam, the Malay peninsula, and Sumatra, where they remained for 5 months to avoid the monsoon storms. They then set off from Sumatra and passing the Nicobar islands touched in Sri Lanka (Seilan or Ceylon). Then they followed the west coast of India and finally reached Hormuz, where the ships anchored, and the delegation proceeded on land to Khorasan, and handed over the Princess to Mahmud Ghazan, the son of Arghun Khan, who had passed away in 1291. The Polos then left Persia by land to Europe. They moved to Tabriz and stayed for some time, and then left the Mongol dominions and crossed over to the Byzantine lands, a Christian territory where at Trebizond in what is now Turkey, they were robbed of most of their hard-won earnings. It appears that the Arco Valley Pearl and other precious stones given by Kublai Khan, had not been part of the lost possessions of the Polos. They then reached Constantinople and eventually Venice in 1295, after being away for over 25 years. When Marco Polo, Niccolo and Maffeo returned to Venice, their relatives, friends and neighbors were pleasantly surprised to see them alive, as during their prolonged absence of almost 25 years they were considered to have passed away, possibly meeting their untimely death at the hands of armed highway robbers, or wild animals, or extremes of weather conditions or merely by starvation. The people of Venice received them warmly and were curious and inquisitive to find out more information about distant lands they had visited, their people and their cultures. But, as usual there were also the skeptics who refused to believe stories about his life in the distant palaces of the great Mongol king, Kublai Khan, in spite of the fact that he had brought along a Mongol Tartar slave with him, and could speak several alien languages. 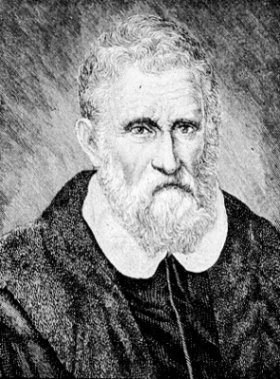 To satisfy the curiosity of the people of Venice, Marco Polo was determined to put down his experiences of 25 years in writing, but was severely handicapped because of his poor knowledge of the Venetian and or Franco-Italian languages. Fortunately around this time Marco Polo was taken prisoner by the Genoese, following a skirmish with them in the Mediterranean. He was then imprisoned in Genoa, where he made friends with a fellow prisoner from Pisa, Rustichello, who was a well known writer. Marco Polo decided that this was the best opportunity for him to put down his memoirs in writing, and sought the services of his friend Rustichello, who readily agreed. 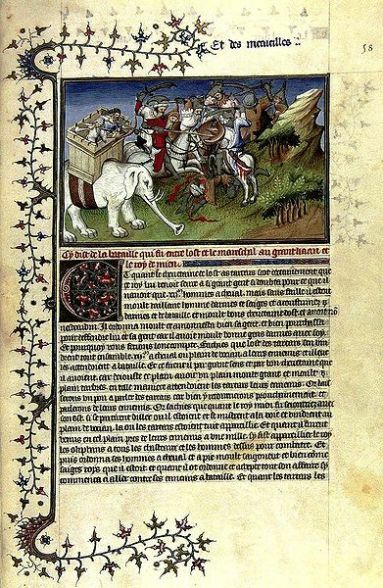 Marco Polo dictated his tale to Rustichello, who put it down in writing in the Franco-Italian language, a composite language commonly used in Europe in the 13th and 14th centuries. The travelogue was initially titled "Divisament dou Monde" (Description of the World), but subsequently changed to "Il Milione" (the millions). Marco Polo and Rustichello were released from prison, and the book that was compiled while in prison, became an instant success, and manuscripts of the book spread throughout Italy. The book was subsequently translated into English and was titled " The Travels of Marco Polo" In his book Marco Polo recalls being forced to show his skeptical friends evidences of his claims, by revealing the many precious stones lavished upon him by Kublai Khan, which probably included the massive Arco Valley Pearl. Marco Polo died in the year 1324, at the age of 70 years. After his death the history of the Arco Valley Pearl is uncertain. It is said that in the 14th century the wearing of pearls was strictly controlled, the common people as well as many ranks and professions being banned from wearing them. Towards the latter part of his life Marco Polo was reported to have led a quiet existence, managing a not too conspicuous fortune. He freed his Tartar slave who accompanied him on his return journey from China. It was quite possible that Marco Polo disposed of the Arco Valley Pearl and other precious stones before his death, as the resources he accumulated in China begin to dwindle. In all probability the pearl would have been acquired, by a member of a monarchy or an aristocratic family who appeared to have had exclusive rights to adorn such precious ornaments. It should be noted that the tell-tale marks of one set of drill holes on the pearl reveal, that it probably would have been used as a jewel in a tiara or a crown. This in all probability must have happened after the arrival of the pearl in Europe. However, towards the end of the 19th century, the pearl passed into the possession of the Arco-Valley family of Austria and Bavaria, in whose custody it remained for a greater part of the 20th century, and with whose name the pearl became synonymous. 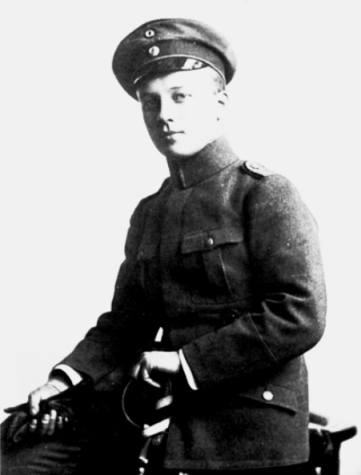 The most notorious of the Arco-Valleys was the Bavarian count Anton Graf von Arco-Valley, who was involved in the assassination of the Bavarian socialist leader and the first Republican premier of Bavaria, Kurt Eisner of Jewish descent, in February 1919, an event celebrated by the Nazis. Kurt Eisner spearheaded the socialist revolution, that overthrew the Wittlesbach monarchy in Bavaria in November, 1918. Arco Valley was not given the death sentence, but was given a prison term of 5 years at Landsberg prison, for his part in the murder. 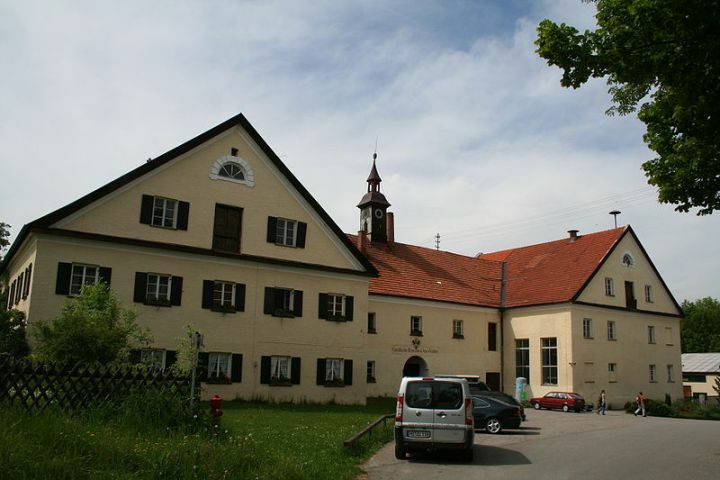 It is said that when Anton Graf von Arco-Valley vacated his cell in the Landsberg prison, the next occupant of the cell was none other than the young Adolph Hitler. The 575-carat baroque shaped Arco-Valley Pearl re-surfaced again in May 2007, at Abu Dhabi, and was due to go under the hammer at an auction organized by the Abu Dhabi Chamber of Commerce and Industry. The auction was due to be the highlight of a larger "Pearl Evening" that also included a gala dinner and entertainment. The main aim of this unique event was to set the stage for the revival of the virtually defunct regional pearl industry, which was neglected and ceased to exist, after the discovery of oil in the Gulf in the 1930s. The pearl industry of the Gulf was said to be over 7,000 years old, the pearls being harvested from the seabed by pearl divers, for whom it became a source of sustenance. It was the discovery of black gold that spelt disaster for the ancient industry. The organization of the "Pearl Evening" it was believed would remind the people of the Gulf of their ancient heritage, and give a much-needed boost for its revival. Khaled al Sayeg a renowned pearl trader from the region, and the live wire behind the event and the attempt at revival of the pearl industry, said, "Pearls are a real asset and good investment as they provide a store house of value. Cyclical changes play an important role in the pearl market, and the recent years have witnessed a renewed interest in them. We aim to provide an opportunity for pearl collectors and investors to interact closely. We need everyone's support to make this event a success." The event was also supported by related organizations, such as the Dubai Central Laboratory, The Luxury Marketing Council, Emirates Palace Hotel and the National Bank of Abu Dhabi. Lifestyle Auctions, the emirate based auction house, was commissioned to oversea the auction process, whose auctioneer Paul Fletcher was expected to conduct the auction. All the 24 auction lots were pearls. some set and some loose, and of varying sizes, small, medium and large sizes. One of the pearls was extraordinarily large. This was the 575-carat baroque shaped Arco-Valley Pearl. Pre-sale interest in the auction was very intense. A lot of interest had been shown on the Arco-Valley Pearl by several rich families of both Abu Dhabi and Dubai. According to Paul Fletcher, there had been a surge of inquiries from the agents of China's growing rank of billionaires, and most of them were interested in seeing the pearl returned to its original home, and considered it as one of China's national treasures. 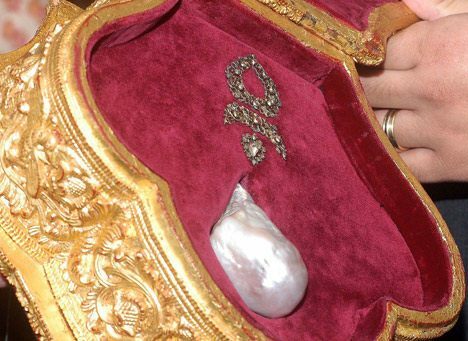 The pearl that was brought to Abu Dhabi by Khaled al Sayeg and his partner, just two months before the date of the auction, was privately owned by an anonymous collector, and was insured for $5 million, and had a pre-sale estimate of $8 million placed on it, based on its size, color, weight, exclusivity, history, and sale prices realized for similar pearls in the past. The bidding process was due to take place on May 3, 2007, at Abu Dhabi's Emirates Palace, and arrangements were to be made for simultaneous bidding over the internet from the leisure of the homes of prospective bidders. The pearl was certified as a genuine natural pearl by the Dubai Central Laboratory, the only ISO 9001:2000 certified gem testing laboratory in the Middle East. It was expected that at least around 400 people from a range of countries involved in the international pearl trade, such as the Emirates, other Gulf countries, China, Japan, India, Britain, the United States and Tahiti would attend the auction. The profits realized from the proceeds of the sale would go towards assisting children's and humanitarian organizations. Part of the proceeds would also be used for funding a Gulf Pearl traveling museum in order to revive interest in the virtually defunct regional pearl industry. The sudden death in a car crash on Tuesday, May 1st, 2007, of Sheik Saeed bin Nahyan bin Mubarak al-Nahyan, the son of the Emirate's education and science minister Sheik Nahyan bin Mubarak al-Nahyan, led to the postponement of the auction just hours before the bidding was due to start on Thursday, May 3, 2007. According to Paul Fletcher, the auctioneer of Lifestyle Auctions, "the organizers felt it was inappropriate to celebrate a revival of the pearl trade at the time of mourning in the royal family and in the Emirates." The postponed auction was re-scheduled from November 18th to 22nd, 2007, and re-organized as part of a bigger international event, the First International Pearl Convention, co-hosted by the cities of Abu Dhabi and Dubai, and organized by the pearl revival committee, whose chairman was Khaled al-Sayeg. This time Souq.com, the leading online auction site in the UAE and a member of the Maktoob group of companies, was appointed as the official auctioneer for the first International Pearl Convention. Programs that were lined up for this unique international event held under the patronage of Her Highness Sheikha Fatima bint Mubarak, Supreme Chairperson of the Family Welfare Foundation, and Chairperson of the General Women's Union of the UAE, included Seminars and Summits, and other innovative programs such as Pearl Theatre, Pearl Concert, Pearl Classes, Arabia Pearl Exhibition, Cultured Pearl Display, and Pearl Fashion. A key aspect of the convention was the auction of a collection of pearls that included the world's largest natural pearl the 575-carat Arco-Valley Pearl, along with some of the world's rarest and most sought after pearls, such as "the Dream Pearls of Cooch Behar"; WC2A - Him, 980 grains; WC2B - Her, 700 grains; "Worm" - 400 grains; 65mm long, 2591 "Rosebud" - 214grains; 30mm, 2592 "Golden Dome Oriental" - 51 grains; 13mm, "Oriental Necklace" two lines, 10.4 mm - 5.4 mm; "18th-century Button Pearl Gold Jewelry" and "Sarnii Chulu" - "Moonstone" - 284.93 carats, with dimensions of 59.1 x 40.0 x 29.2 mm. 120 delegates from 30 pearling nations congregated at the Armed Officers' Club in Abu Dhabi, capital of the UAE, to take part in the First International Pearl Convention. The convention was opened by HH Shaikha Mai bint Mohammed Al Khalifa, Assistant Under-secretary for the Sector of Culture and Heritage in Bahrain's Ministry of Information. The chief guest of the occasion was Dr. Gaitone Cavalieri, president of the CIBJO. The five-day convention included 10 technical seminars, a daylong summit, two study tours, and a host of networking opportunities. The delegates were flown to the ancient pearl island of Delma, 200 km northwest of Abu Dhabi, with a pearling tradition of thousands of years, in order to re-kindle the images of pearling as it was in ancient times. They were also taken to Dubai on the 5th day of the convention to visit the world famous National Bank of Dubai's Pearl Museum and the Dubai Central Laboratory, the modern state-of-the-art gem testing laboratory in the Middle East. The fate of the Arco-Valley Pearl ? The outcome of the much-awaited pearl auction at this convention, especially the 575-carat Arco-Valley Pearl is not known. Attempts to discover the fate of the renowned pearl after this much publicized event had proved futile. A thorough search of the world wide web for any information on the sale of the Arco Valley Pearl during this International Pearl Convention, held between November 18 to 22, 2007, did not yield any fruitful results. It is not known whether the renowned pearl was withdrawn from the auction as it failed to realize its reserve price. The present whereabouts of the pearl are unknown. Readers who may have more information about the fate of the Arco-Valley Pearl, are kindly requested to provide same as comments to this page. 2.Kublai Khan's pearl up for grabs - Emmanuel Landais, Staff Reporter, Gulf News, April 25, 2007. 3.Pearls - Website of Shane Co.
4.Royal family death postpones auction of world's largest natural pearl on market - International Herald Tribune, May 3, 2007. 6.Bringing pearl industry back into focus - Mariam M. Al Serkal, Gulf News, November 2, 2007.